The local JR's Services & Recovery LLC serves you within 30 minute response time in most areas of Indianapolis. The closer the cheaper. Call us now! 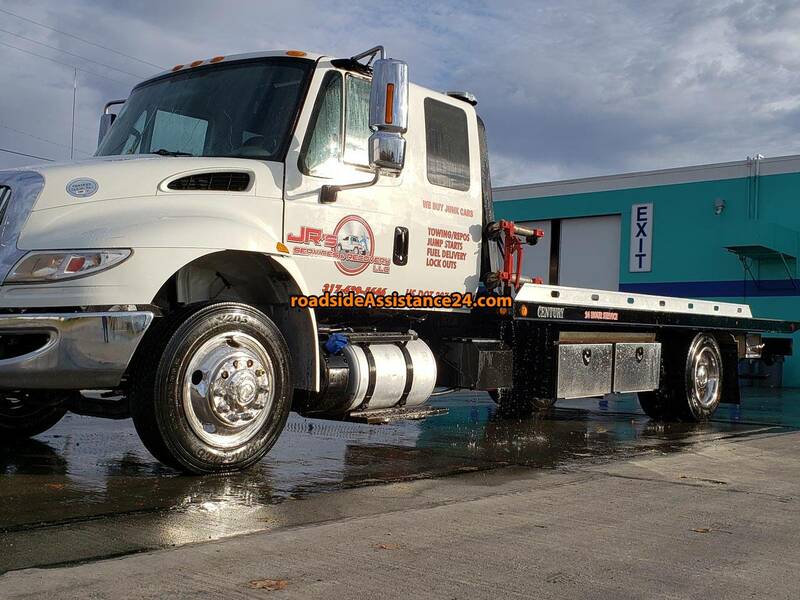 JR’s Services & Recovery LLC is a professional towing company based in Indianapolis, Indiana. We are a family owned & operated business, providing clients with roadside assistance, towing and recovery services. Our team is dedicated to all your roadside assistance, towing & recovery needs. They are focused on providing you a careful and considerate towing and automotive experience. Our operators are skilled and dedicated drivers with superior abilities behind the wheel. We are committed to always presenting a professional image to our customers, from our staff to our fleet, we maintain our company image through excellent service, safe operations, and timeliness. We are open 24 Hours 7 Days a Week. 46241 Towing!